The Evoked Potentials International Conference (EPIC) has traditionally been the most important scientific event for those working in the field of event-related potentials (ERPs) and related areas. Held only once every three years, it offers participants an opportunity to interact on a first-hand basis with many other investigators from throughout the world who are involved in ERP research. This upcoming EPIC will be held in Leipzig, in the university main building in the center of the city. EPIC XIV will be a meeting about both basic and applied research and invites presentations that employ ERPs as well as newer methods of assessing brain function (PET, fMRI, MEG, EROS, TMS). The conference will interest professionals from many domains including, but not limited to, cognitive neuroscience, experimental, cognitive, clinical, social and developmental psychology, neuropsychology, neurology, neurosurgery, neurophysiology, neuroradiology, psychiatry, magnetoencephalography, biomedical engineering, psychopharmacology, and ergonomics. The themes that will be treated in EPIC XIV include mental and bodily functions such as perception, action, memory, attention, language, emotion, evaluation, motivation, problem solving, multisensory processing, motor behavior, and cardiovascular responses. Presentations on normal functioning, development, clinical aspects and methodology are invited. Presentations will consist of key-note lectures, symposia with oral presentations, and poster sessions. Special emphasis will be given to poster sessions to facilitate exchanges and discussions between the participants. IF YOU ARE INTERESTED IN ORGANIZING A SYMPOSIUM, PLEASE LET US KNOW BY APRIL 1st 2003. Leipzig is a modern city with an impressive history. For example, the Leipzig Fair is celebrated as the "mother" of all trade fairs. 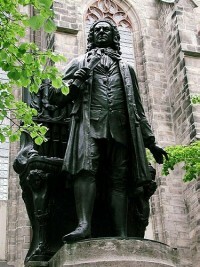 Johann Sebastian Bach was Leipzig's director of music and the cantor of St. Thomas's Church from 1723 until his death in 1750. Leipzig is the home of the Gewandhaus Orchestra, the oldest civic concert orchestra in Europe, dating back more than 300 years. The Leipzig Opera company is the second oldest opera in Germany. In Leipzig the Peaceful Revolution in 1989 began. The University of Leipzig (founded in 1409) has an impressive history as well: for example, the mathematician Gottfried Wilhelm Leibniz, the philosopher Friedrich Nietzsche, and the father of German literature Goethe studied in Leipzig. Interesting from the view of cognitive neuroscience, psychiatry, and psychology: Paul Flechsig and Emil Kraepelin worked at the University of Leipzig; Ernst Heinrich Weber and Gustav Theodor Fechner developed Psychophysics, and Wilhelm Wundt founded the world's first Institute for Experimental Psychology in 1879. Beside its interesting history, Leipzig is centrally located in Europe and has an international airport. The historical innercity of Leipzig is wellworth visiting and important european cities such as Berlin and Prag can be reached within half a day.